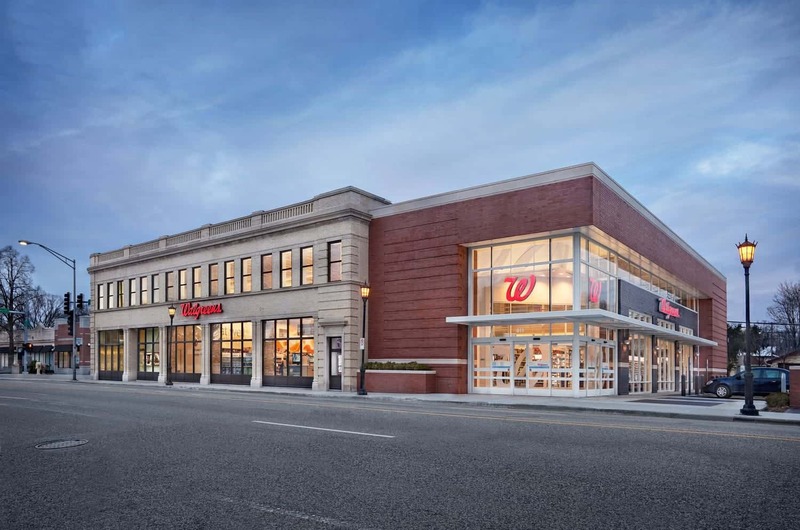 Walgreens was founded in Chicago in 1901, and nowadays, it is the largest drug retail chain in the United States. There are over 8,100 physical stores in the US and Puerto Rico. Walgreens also has an extensive website that provides most of what local Walgreens stores provide their customers. The Walgreens website is perfect for folks who are too far or too busy to visit a Walgreens store in their area. There are many great ways to save on everything from vitamins to contact lenses. Walgreens is millions of people’s one-stop-shop for health care items. Find contact lenses, vitamins, supplements, personal care items, household items, and so much more. The Walgreens website has the main categories neatly organized for you at the top of the homepage. Browse Prescription Refills, Health Info & Services, Contact Lenses, Shop Products, and Photo. You can order your prescription through Walgreens’ mail-order pharmacy. You will need a valid prescription from a doctor. You will also need your insurance information (necessary for filling/paying for your medications). You can also order your digital photos to print and pick-up in store or receive through the mail. If you’re looking for a particular item, just search for it in the conveniently placed search bar at the top of Walgreens’ webpage. Walgreens has special promotions all the time, especially when the season calls for a particular theme. For example, during the summer months, Walgreens offers discounts on sunscreen and other weather and sun-protectant products. You can also find regular deals on vitamins (e.g., Vitamin D – the vitamin you get from sunlight exposure – for sale in the dark winter months). Walgreens also offers cool discounts on photos for special occasions such as graduation season or Christmas card printing services in December. To find out about the latest promotions, either sign up for the Walgreens e-newsletter or follow Walgreens on social media. The Walgreens app is available in Apple’s App Store and the Google Play Store for Android devices. You can refill your prescription in seconds using the app’s refill scanner. Send photos directly from your phone to be printed at a Walgreens store (or online to be mailed). You can also access weekly paperless coupons to use online and in-store. Plus, get points on your Balance Rewards account through healthy activities. Walgreens has all sorts of fun promotions going on regularly. For example, Walgreens supports Red Nose Day on May 26. Red Nose Day is a nationwide effort to raise money to reduce rates of childhood poverty. Other promotions change throughout the year. There is usually a skincare product available for sale, as well as different contact lens discounts for customers varying throughout the year. Be sure to get Walgreens’ Weekly Ad and paperless coupons to maximize your savings. Walgreens Balance Rewards is free to join and comes with dozens of juicy benefits for its members. You earn points for purchases made at Walgreens locations and on the Walgreens website. Earn points on photo printing and prescriptions. Walgreens will offer exclusive bonus point promotions, in which you can earn as much as 50 points per dollar spent during the time period. You get a $5 reward for every 5,000 points you accumulate, up to $50 worth of rewards that you can use toward future purchases. You can use your Balance Rewards online using the Walgreens website or smartphone app. You can redeem them in-store using a membership card or your phone number during checkout. Additional perks for members include at least 10 points per $1 spent on most purchases, including 100 points for each 30-day prescription you refill with Walgreens. They even go a step further by rewarding you with extra points for healthy activities such as cycling, walking or jogging (20 points per mile), blood pressure checks, and quitting smoking. 40,000 points is the max you can rack up before redeeming, so there are plenty of opportunities to save with Walgreens. When you’re ready to check out on Walgreens.com, you can choose whether you want a one-time shipment or a regular delivery of the same product every 30 days. You can choose to checkout with PayPal or Visa, as well as standard checkout as a guest or existing Walgreens customer. You apply promotional codes and coupons before reaching the payment page, so be sure you have that information ready. Spend at least $35 and you’ll receive free shipping on your order—otherwise shipping will cost you $5.99 (2-4 days to arrive). Expedited shipping costs $8.99 within the 48 contiguous US states while overnight shipping costs $19.95. If you live outside the 48 US states, you’ll pay $12.99 for regular shipping, but expedited and overnight shipping options are not available. To make a return on your Walgreens.com order, you can take it back to a Walgreens store or return it via mail within 30 days of purchase, as long as you have the original purchase receipt and the item remains unused. Walgreens’ branded products are the exception to this rule: if you’re not 100% satisfied, you can return the unused portion of the product and receive a full refund, including return shipping. Walgreens has a few social media channels to connect with customers, including Facebook, Twitter, Tumblr, and Instagram. You’ll usually find new product announcements, promotional codes and coupon offers, and occasional contests and sweepstakes. Some past contests include the Seriously Silly Challenge in conjunction with Walgreens’ participation in Red Nose Day to end child poverty and the Expression Challenge, which promotes healthy lifestyle habits for high school students. Other contests include photo contests (especially for pets or kids during Halloween time!) and surveys to win $2,000+ gift cards from Walgreens. They promote most of their contests on social media, so be sure to follow Walgreens on the channels mentioned above to get the latest updates. If you need any assistance with your Walgreens order, you can contact customer service through an online form or call Walgreens 24/7 on their toll-free helpline at 1-877-250-5823. Live chat is also available on the Walgreens website if you need immediate assistance during normal business hours. Download the iOS or Android app and shop from your smartphone or tablet. When you have an account with Walgreens you can manage and refill prescriptions online. The company offers weekly deals and coupons. The best ways to stay up to date on Walgreens weekly deals are to sign up for the email newsletter or check this page frequently. Many Walgreens locations have on-site health care clinics. You can find the local clinic nearest you through the website. You can earn Balance Rewards points on each purchase and apply your points towards future purchases. What is Today’s Best Walgreens Promo Code? The best Walgreens promo code right now is PANEL65. This code is for '65% off Same Day Pickup Metal Panels and Wood Panels + Free Same Day Pickup'. Copy it and enter it on the Walgreens checkout page to use it. Orders with a subtotal over $35 that are under 20lbs ship for free within the contiguous United States. Items can be returned up to 30 days after the date of purchase for a refund.